Sunday, February 24, we were all dressed up and ready to worship in a new sanctuary of the Evangelical Lutheran Church in Sierra Leone. There were hundreds of people present including members of the Northern Texas/Northern Louisiana Synod to dedicate this worship space of the new Jubilee Center. This sanctuary is part of a structure being built on Tower Hill a steep incline that has no access road. Despite no easy access hundreds of people paraded up the hill of loose stones and red dirt to praise God for what God has done. Music was provided by a youth choir that sang hymns in English and songs in Krio. After worship the woman of ELCSL served dinner to some 500 or more people without an indoor kitchen or the modern conviences we in the US are so used to. It was quite a day. I cannot begin to tell you how much fun I am having. Yes, I know I am supposed to be working, but can I say the work I get to do is incredible. 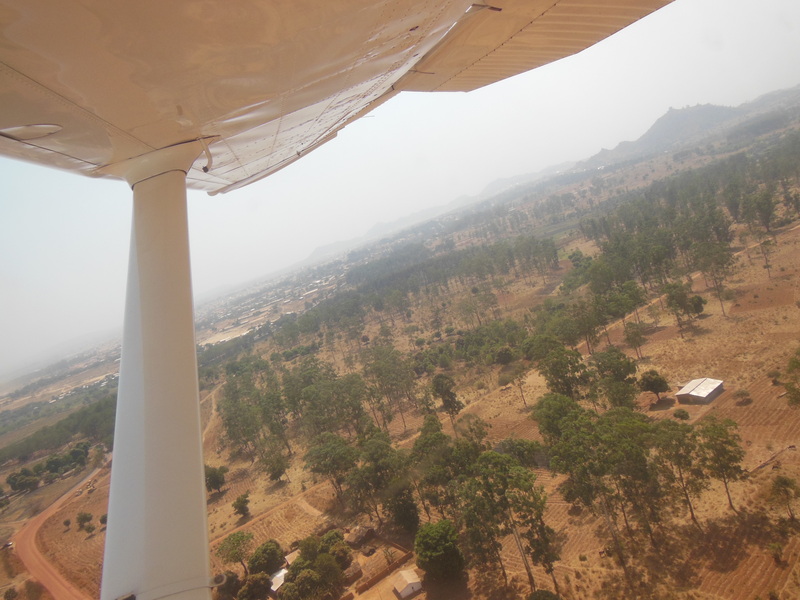 It has been a little over a month since I flew to Yaounde, Cameroon. There I met Anne and Willie two of the regional representatives for the area, and Micah their son. I also met Joe and Deborah and their daughter Krista. They are all missionaries and part of the West Africa team. I am learning that the term “West Africa” is limiting because two countries in my area are Cameroon and Central African Republic which are actually in central Africa — no matter. So about that fun, getting to know the missionaries is a treat in itself. I have spent time with Jackie Griffin, Elizabeth Johnson, Phil and June Nelson and Susan Smith. Some I met traveling to N’Gaoundere after a ride in a “petit avion.” I hope you read that story. They are an amazing bunch of individuals and as a group well, they help make the work the ELCA does in this part of the world possible. Yet, the most exciting thing for me is meeting the members of the churches here and visiting the ministries that are so vital to this region. Yesterday, I visited St. Mark one of the churches of the Evangelical Lutheran Church of Sierra Leone. The church is located on the east side of Freetown. On the church grounds there is a well that is open to the community. 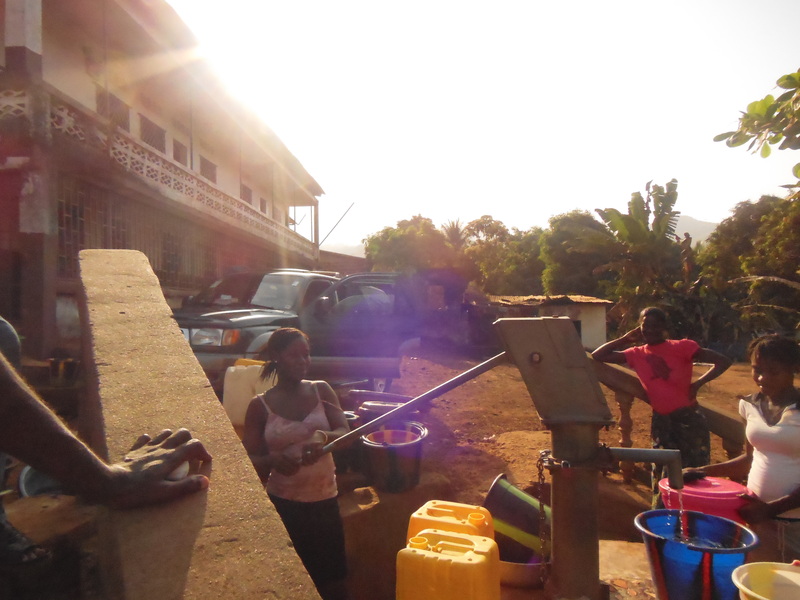 It is one of two wells in the neighborhood that insure that there is clean water. One of the priorities of the ELCA World Hunger fund is clean water. 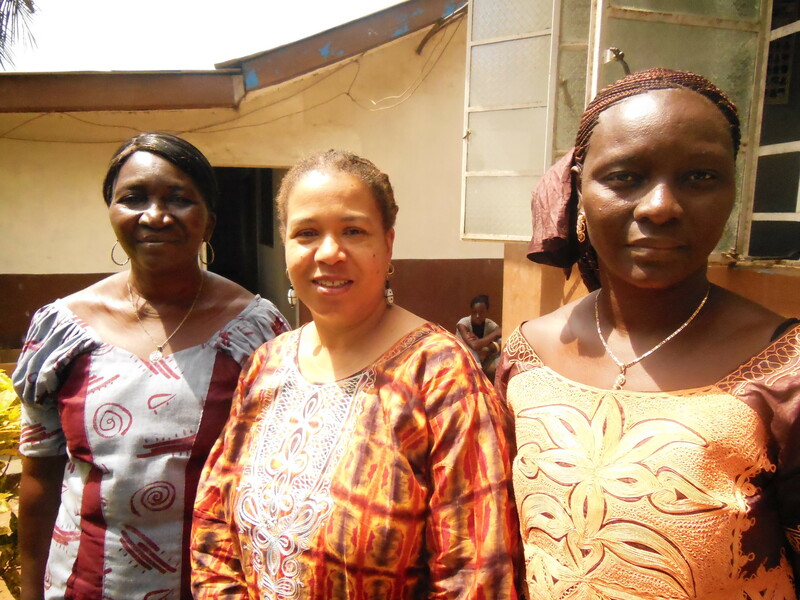 The ELCA also has as priorities the empowerment of women and health. At St. Mark there is a Women’s Center that trains youth to sew and to do hair so that they might earn a living and be self-sufficient and a small health clinic. Well on the property of St. Mark a congregation of ELCSL. This week, I also visited the headquarters of ELCSL where I along with Themba, another of the regional representatives for the area, met with Bishop Thomas Barnett and talked with Phyliss the financial director. We also were escorted to St. Mark by Princess who is the head of the churches Women’s Organization. We are here to attend a partners meeting and to participate in a celebration of culture and worship during the opening of the ELCSL Jubilee Center. We will be joined by a group from the Northern Texas and Louisiana Synod of the ELCA. Princess, Me and Phyliss. They are leaders in ELCSL. 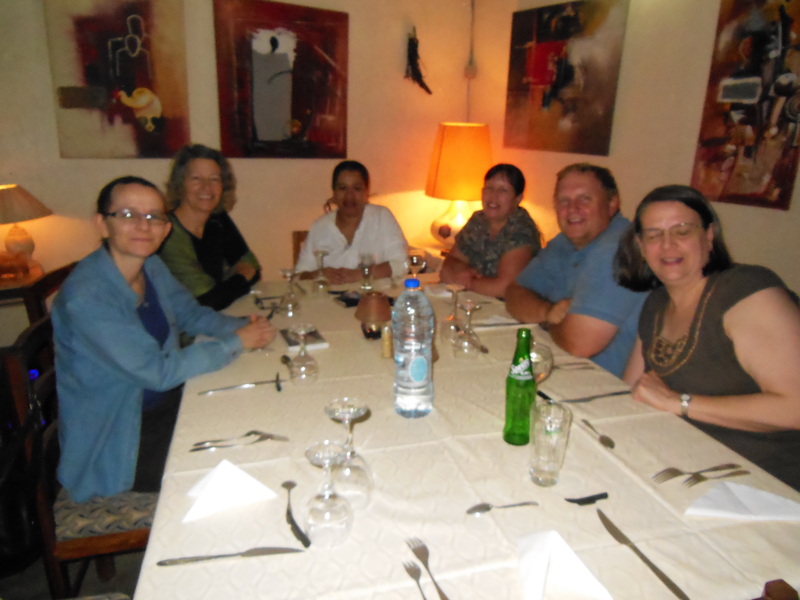 Yes, I am having fun experiencing the food, culture and learning about Sierra Leone. Yet the realities of life in Sierra Leone are not fun. Sierra Leone is a country that is still recovering from the effects of civil war. They are now experiencing a period of stability and in many ways the faith communities have helped with this. Despite that stability Sierra Leone has around 60% unemployment and even those with university educations can take three or four years to find a job. Everyday there are thousands of youth on the streets and beaches of Freetown peddling goods. In some ways Freetown reminds me of New York City. Traffic is terrible, people are everywhere and there are vendors not just on every corner, but all over the place. 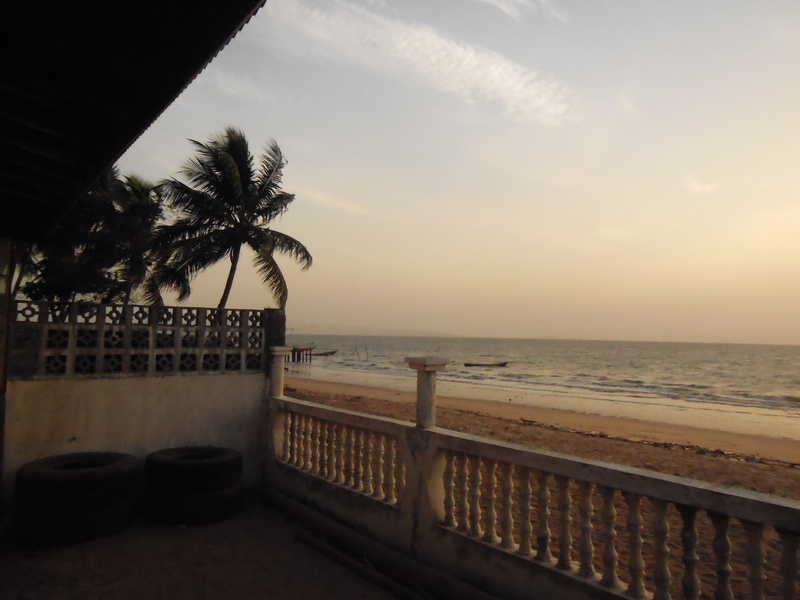 Another amazing thing is that Sierra Leone while not an island is a country that sits on the ocean and has many beaches. Who knew it would be so beautiful? Yes, I am having fun. Despite having my luggage lost and going without my own clothes for the second time in a month, despite having to get on a very small airplane and a boat that had the potential to make me sick, despite hours on airplanes and constant e-mails, I am having fun and an excellent adventure. Who knew that this work would give me as much joy as congregational ministry? Thank you Lord! As a pastor serving in a congregation my life has been patterned around a liturgical calendar and the seasons of the church year. Taking this call to Global Mission has meant that in the last few months I haven’t paid close attention to the church calendar. Recently I realized that Lent was approaching and I began thinking about preparations for observing this season of repentance and reflection and especially how I would observe Ash Wednesday. Anne Langdji and I had been keeping a pretty intense schedule of meetings and the church year calendar wasn’t my first priority, but I haven’t missed an Ash Wednesday Service in at least thirteen years. So, as the day approached I was struggling to figure out how to mark it. I had download the devotional booklet produced by a facebook group of colleagues and was going to satisfy myself with that. Yet, God had other plans. Before we left Garoua Baloui on Wednesday we were scheduled to meet with the director of the Bible School. His first order of business for the morning was chapel. To my delight it was to be a service complete with imposition of ashes. I would not miss the beginning of this church season after all. I was able to hear a sermon on the text for the day and have the cross etched on my forehead. The pastor told me in French, “remember you are dust and to dust you shall return.” My Lenten reflection has begun. May you be strengthened in your Lenten journey. I am traveling from Yaounde to N’Gaoundere. I will be staying for a about a week in N’Gaoundere at the Protestant Mission Station. 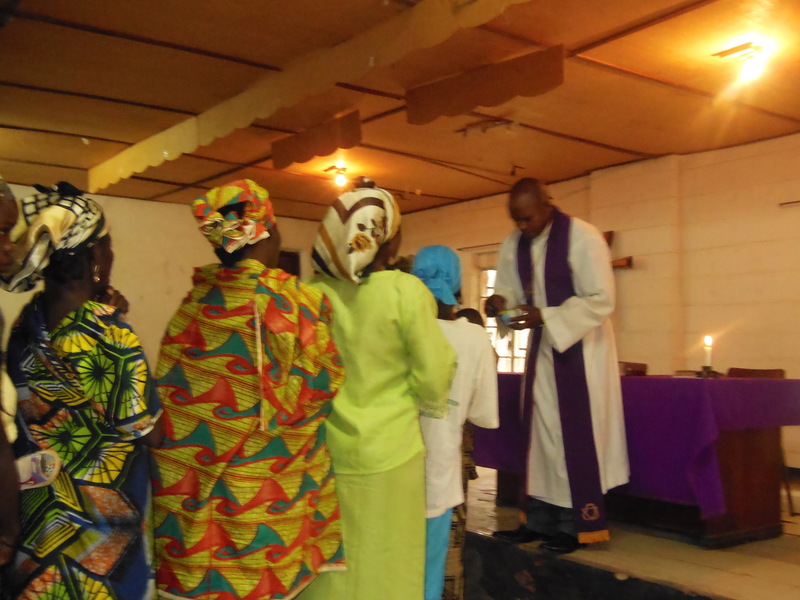 There I will meet with the Bishop of the Evangelical Lutheran Church in Cameroon EELC, ELCA missionaries here and visit in the region. And I have to get there. The surprise for me was the transportation options. 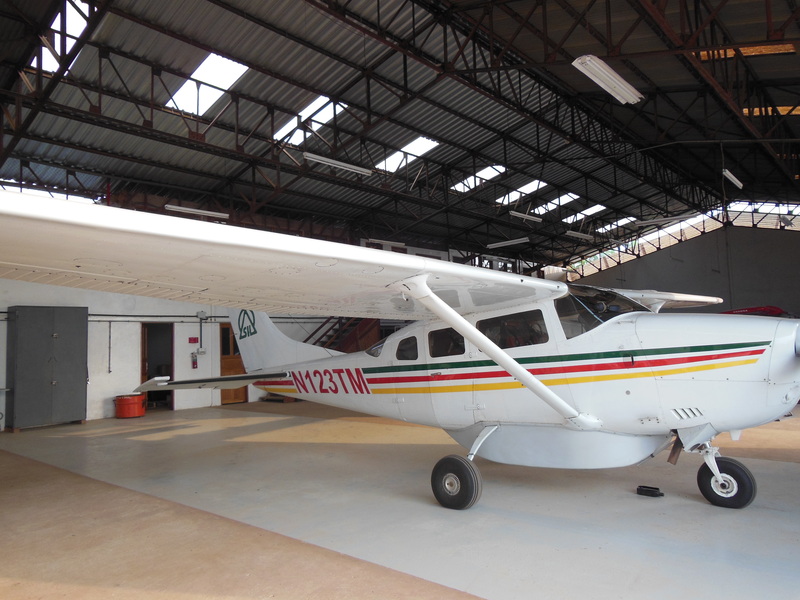 I never thought that I would get in a plane as small as the plane you see in the above picture. We flew down with Hans and Martha who are doctors from Duluth Minnesota who have volunteered their time and expertise to help in N’Gaoundere Protestant Hospital and work with the health system here. The trip from Yaounde is about twelve-hour drive on some unpaved roads, we will get home that way making frequent stops but first we had to get here. So, I got in the plane. Justin was our pilot and thanks be to God the flight was smooth. On this adventure that God has called me to, I am doing many things that I never thought I would do. I was sitting at the table at lunch with Hans and Martha when Hans asked me what was the most difficult part of my job thus far. I had to think about it. I must say that the hardest part of my job thus far has been getting into this tiny plane. I did it! I survived; and if I have to I will do it again. Man God give me courage as I am westafricabound.